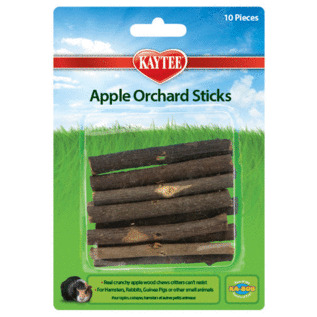 10-pack, 3" L, All-natural wood chews that prevent boredom and help maintain healthy teeth for your pet. Made from real apple trees. Ideal for rabbits, guinea pigs, chinchillas, hamsters, gerbils and other small furry critters.